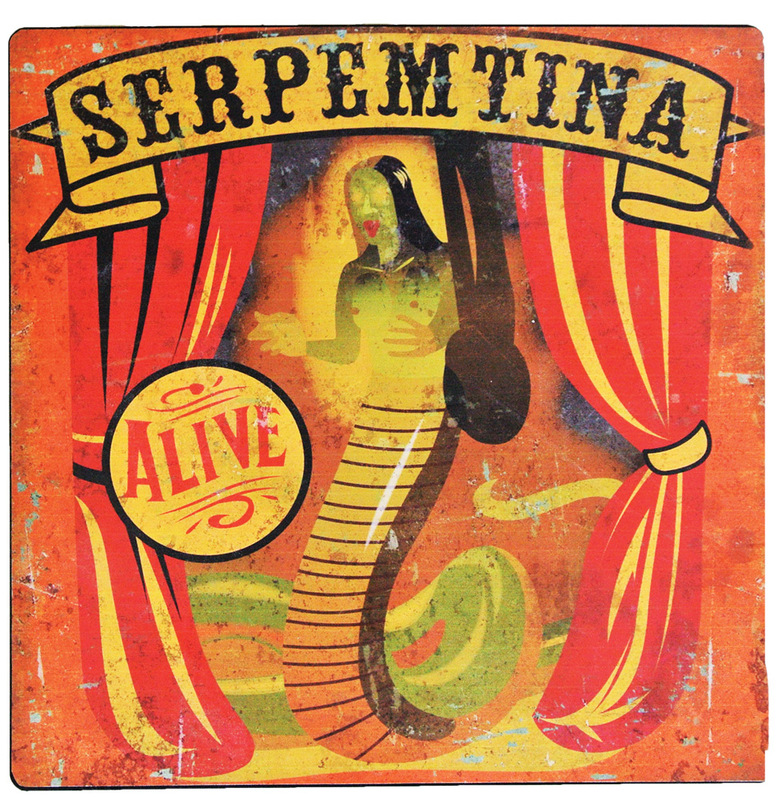 Come see the incredible Serpentina! Half snake, half woman! Metal sign hearkens back to the old carnival days where oddities were the big draw! Metal sign measures approximately 15.7in x 15.7in x 0in.